I don’t think there is any wildlife lover in the south who has not heard about Kabini nor visited it. 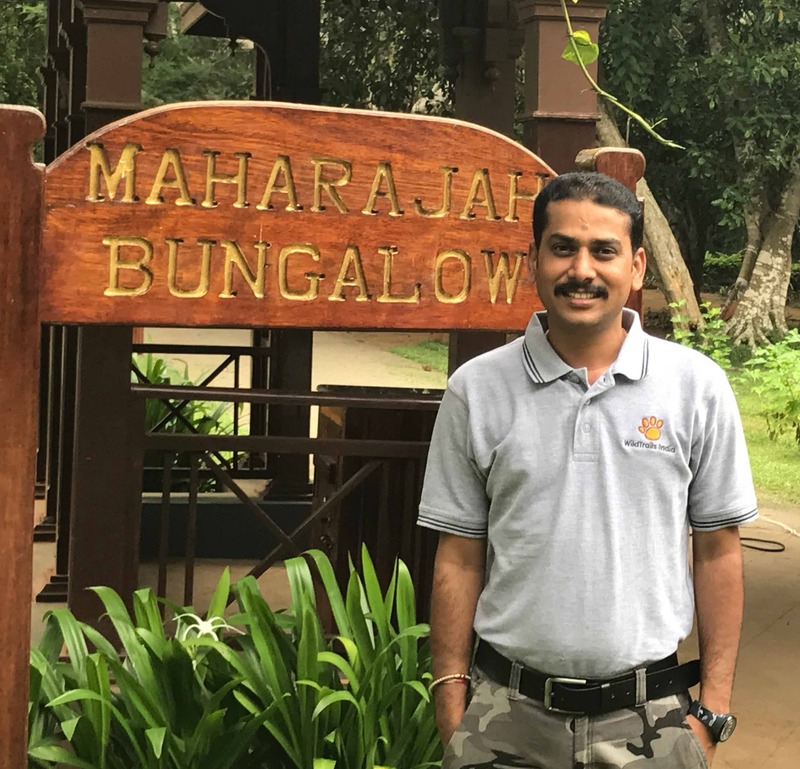 In the same breath i can easily say that I don’t think there is any wildlifer in the south who has not heard about Prasanna Gowda, the chief naturalist @ Kabini. Such is the power of the man but compared to what he does there, he is pretty much an unsung hero for sure as he is the the man who (in accompany with Gangaswamy, resort manager in charge) pretty much manages everything over there. Seems an easy job at the meet of the eye but imagine the elites be it the ministers at the state or the center, the judges of the highest court, the top administrative echelon of the state or the country, the celebs be it famous cricketers or people from the tinsel town be it from the Sandalwood or the tollywood or even the mollywood, all wants to be there and all they know is Prasanna and he has to manage all with no hitches and something goes wrong, his reputation as the best naturalist the best who can manage all is at stake but he manages so well and with a smile, the whole job looks extremely simple. Behind that simple smile there is a very high pressure job running one of India’s topmost tiger reserves where people who visit are never easily satisfiable. Serving such clientele in a high end hospitality is one thing and serving them in a place where they all except to sight tigers, leopards and the very elusive black panther is another. Due to the nature of the forest, whatever said and done, sighting a big cat is completely your luck but the guests don’t understand it. Imagine his plight, irrespective of how good job he does, if the high profile guests fail to catch the glimpse of the big cat!! Such is the pressure he handles all in his head with a smile always!! Salute to the man and his management capabilities, almost his job is unparalleled but also an unsung hero is his own rights. I have been interacting with him for the last one decade in close quarters and be awed by his down to earth attitude, his management skills (can beat any MBAs from the top elite schools of India, I can take a bet here!!!) or his demeanor. No wonder he has developed a huge fan following over here and he is fondly known as “Prasi” for his ardent fans. Here are some of the highlights of the interview of the man himself. The nearest town to Kabini jungle is Karapura which is approx 2kms from the forest gate. Coincidently this is where Prasanna grew up and did his early days, in the lap of the Kabini. Obviously he knows this jungle like the back of his hand. Then he moved onto Mysore (a big city & an historical town) which is just 70 kms north of Karapura and that is where he did his bachelor of science (B.Sc.) in CBZ (chemistry-botany-zoology) and he fondly says that his father also did the same and you can see the pride in his eyes when he says that. Truly a father’s son who loved to tow his fathers footsteps. 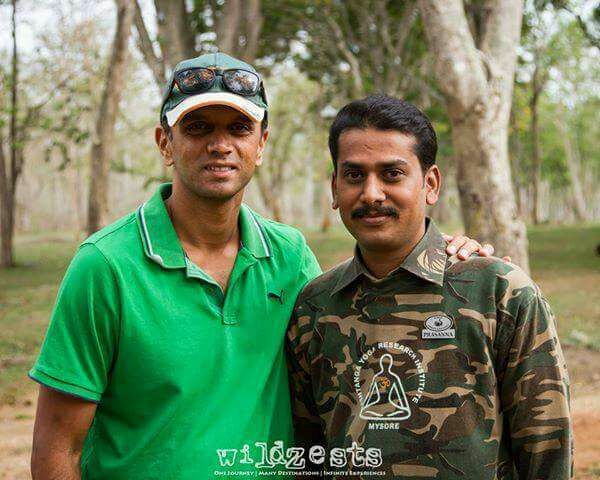 Then he moved back to Karapura and joins Kabini Jungle Resorts as a Naturalist, says that was his goal in his life. I ask his curiously, how come that was your goal??? This is what he says. Hmmmmm – interesting!! 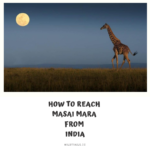 Why a naturalist at Kabini ? He says my love of the jungle, my love towards nature and my father. The jungle and the nature, I knew but had no idea about his father and his influence on his son. Prasanna’s father was also a naturalist at Kabini and did that job for 25 years and his father was also a science graduate again from Mysore and again in the same topics – CBZ and that probably had a huge bearing on the early days of him and was slowly fueling the dream of being like his father one day and he did achieve it and that’s the satisfaction he has. 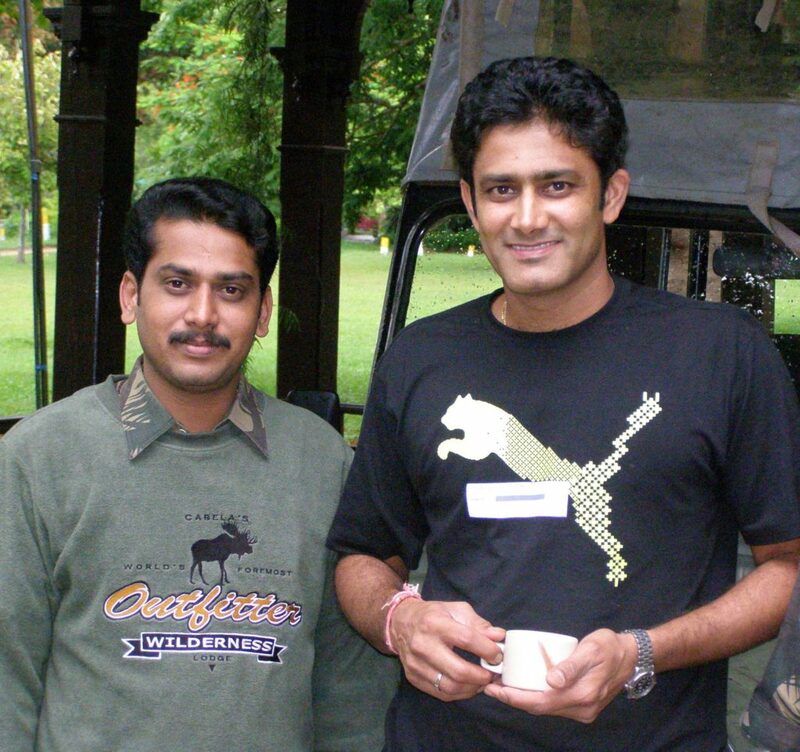 Right after his graduation in 2003, he joined Kabini Jungle resorts as a naturalist on May 24th and more than 14 years gone and he says everyday’s a new challenge there!! Initially the job was not this high pressure but as Kabini as a wildlife location started making headline for its sightings, started attracting more and more visitors including celebrities in all walks of life, the job became hectic and almost 24X7 job with calls coming from everywhere and at any time of the day or night. The kabini river (Kapila) which flows in the forest attracts lot of animals over there and hence the forest is great for amazing sightings and hence all wildlife photographers across India and the world wants to come there. Probably the only place across India where you get such a variety of animals and birds in one forest. He says that this is one of the best places to sight & photograph the big cats in their natural habitat. Also the best place to get to see Elephants. The variety of animals and birds you see here is almost unparalleled. 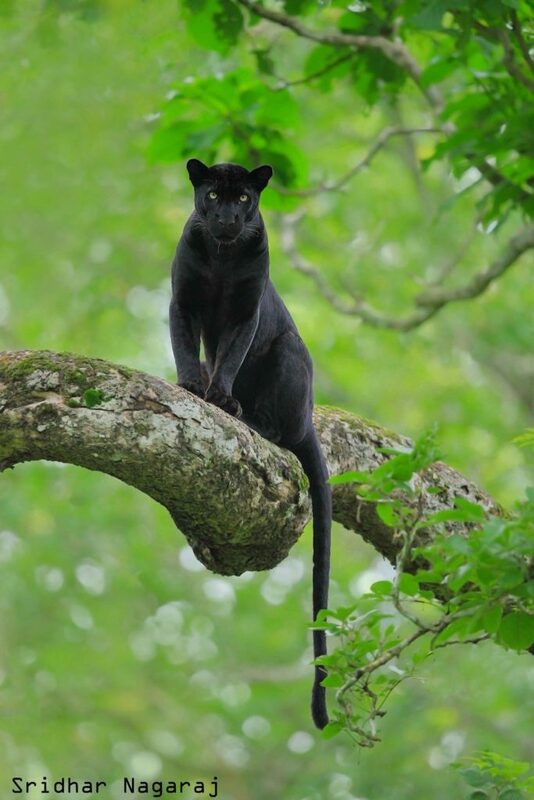 Off lately Kabini is blessed with a Black Panther and people come all over the world to see it and photograph it. Today black panther seeking people have outnumbered people seeking the tigers and leopards. I have seen people coming from France, Saudi Arabia, Dubai, UK, USA and many such countries just for the black panther and staying for weeks together and not to go until they sight and photograph one. 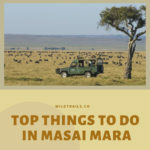 He says that it was first seen in 2014 and in fact on june 3rd this year, it was there on the sighting radar for an hour which was a feast for the wildlife lovers who were on the safari that day. 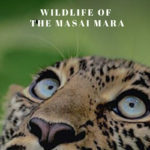 Apart from black panther which is a sensation of lately, people used to come to photograph leopards as you get to see them either walking on the roads or on tree branches and in fact kabini is called the Leopard Lair. Ofcourse we are blessed with a good population of tigers. There were 55 tigers a few years back and today by the latest census we have more than 120 tigers which is a very good number and he says they can manage (kabini tiger carrying capacity) as we have a very good prey base. What he gets out of it? He says that his job is of high pressure but he thoroughly enjoys it. One of the highlights of his job is he gets to meet & interact with the who’s who of the celebrity list. He fondly remembers his time when Rahul Dravid and Anil Kumble came visiting. 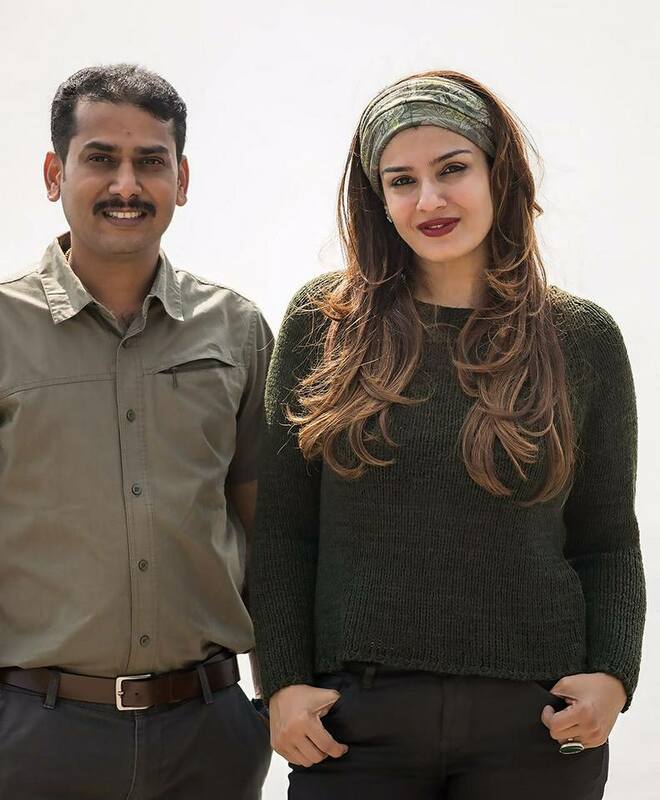 Also the bollywood celebrities Raveena Tandon, Bindu, Nargis Fakhri etc (while I was interviewing local TV celebrity Srujan Lokesh was in the resort). Ofcourse he says being with nature, the jungle where he grew up is a huge bonus. Also he is very proud to blurt out some statistics that there are no poaching of wild animals in his range in the last few years. Yes he do take a day off once in awhile when the visitors are less especially during rainy season weekdays but summer days are very tough even to take a hour off he says. In spite of all the work pressure he says this is what I aspired to be when I was growing in my father’s shadow and now I am filling his shoes and that he says gives a lot of satisfaction. His says his aspiration was to live and build a career in the village he grew up and do his father’s job and he has achieved both and he feels great about it and he says it is highly satisfactory!! When asked about any aspirations for Kabini, his answer comes quickly says wish we can increase the number of jeeps by another 2 or 3, atleast that way I can provide the same to all who come here else during peak seasons and during weekends when we are full it is tough to provide the jeep for all and those who don’t get it sometimes end up throwing aspersions at him but he says my hands are tied as I can do only with what I have and I explain the same to guests but not all are understanding – this is the only grouse he has. Hope forest dept is listening. 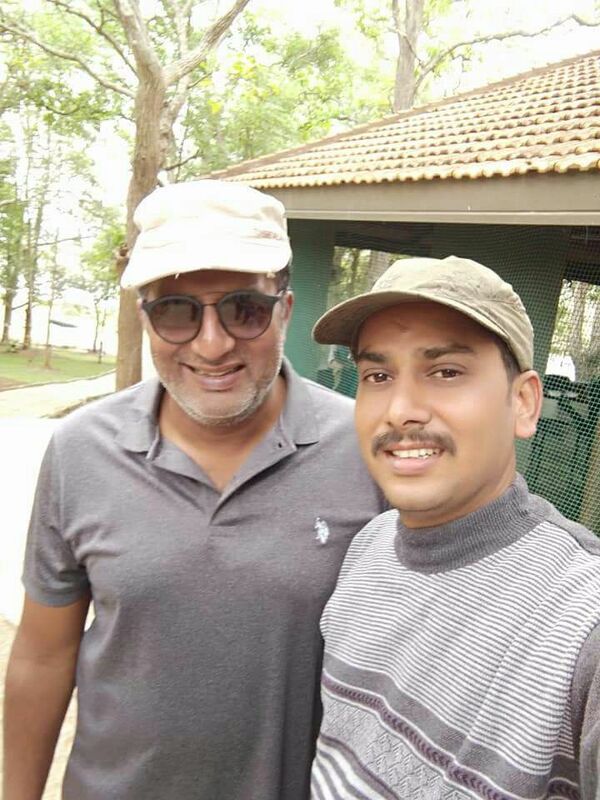 While the interview was going on with lot more to ask, there was a call from another high flyer about his impending visit to Kabini and I knew was the time for me to leave as I could see the eagerness to start working on it and I realized it is prudent to leave him to his work,what he knows best and what he does best. Some Other day some other time will catch him for a sequel for this but until then I hope & I am sure, he continues to do the awesome job that he is doing. 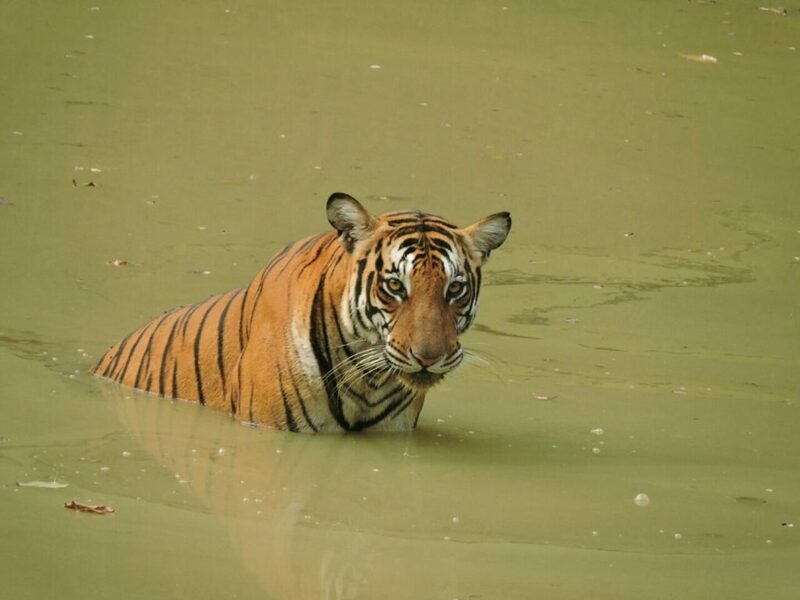 But we the wildlifers, whenever we visit a sanctuary, just don’t concentrate only on the tigers, the leopards, the elephants, the black panthers and the other animals/birds over there but do take some time off to say thanks to the unsung heroes behind these wildlife sanctuaries. Because of them and their relentless hard work, these sanctuaries are what they are for us to enjoy. Hope you all liked the interview. Until next time, ciao from the the editorial room of our WildTrails India – do download our app and continue discover our Indian wildlife like never before!! If you need further info on Kabini, contact us any time via an email to info@wildtrails.in or call us any time on +918030178142 or WhatsApp us @ +919901175444. Also please do install WildTrails India App or read the below related blogs.